Users can submit and share their own creations with other music lovers. (Special timing tools are included). 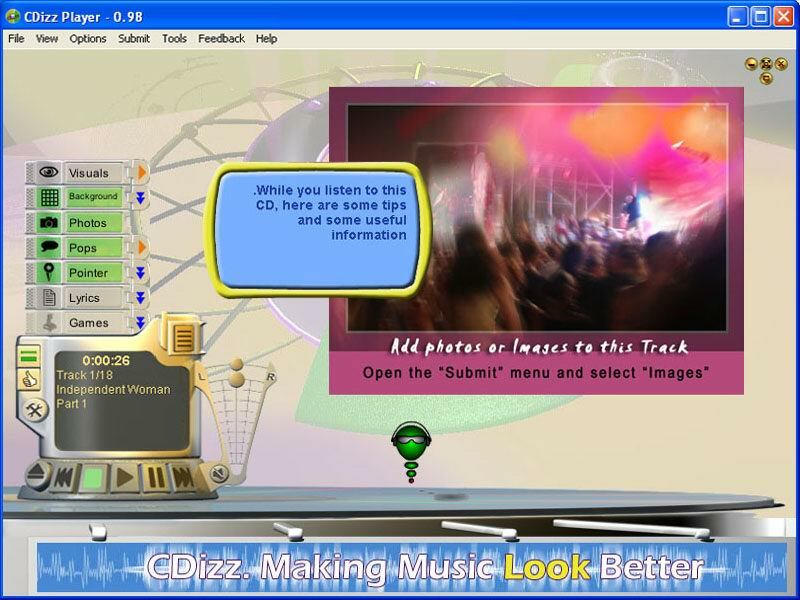 CDizz gives users the power to publish and share their creation with other music fans who listen to the same CD. Contributors receive higher rank which gives greater weight when voting on other plugins. Guitar players can use CDizz as a great tool to learn how to play chords. By entering a song's chords information they can view a dynamic graphical display of the different chords while the song is played. CDizz also allows creating and displaying karaoke for CDs.